The body may be breaking down, but the spirit keeps on growing. 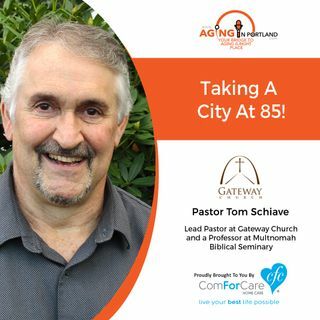 Pastor Tom Schiave of Gateway Church, located in southeast Portland, addresses the spiritual changes seniors face as they grow older. For example, the spiritual focus often changes from "doing" to "being," and life oftentimes becomes more "inward-driven" than "outward-driven." As God's children, regardless of age, our sole mission in life is, "that we may present each man complete ... See More in Christ," (Colossians 1:28-29) and Gateway Church is dedicated to touching the spiritual lives of Seniors.